HKK da CAT 2018 new yrar tape cassette ver !!! DJ Tan IKeda every sat "bandit buggy edenico" dj mix live show vol. 43 &apos;18.09.22. 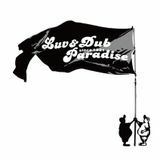 We are Luv&Dub Paradise !!! We are from Japan !! !